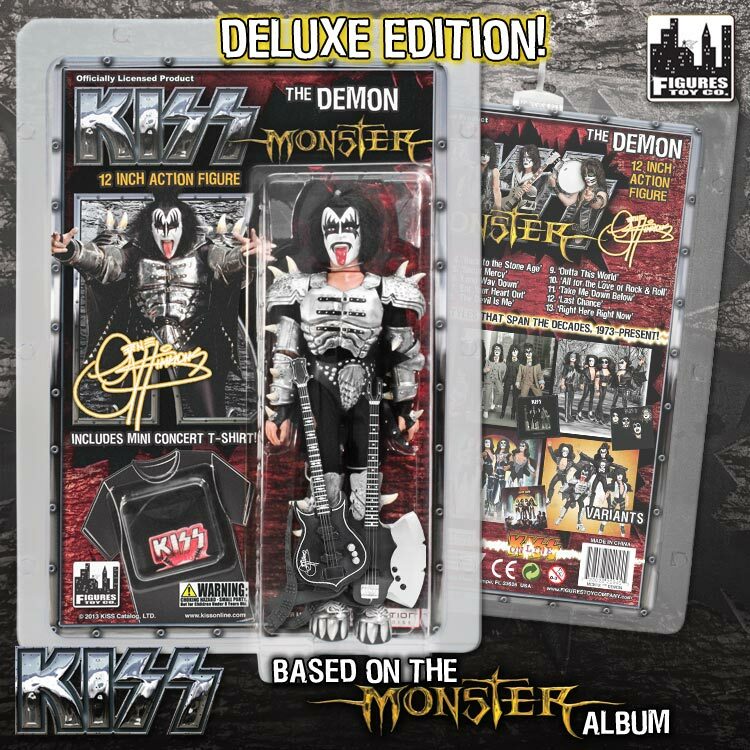 KISS 12 Inch Action Figures Series Four "The Demon"
Clamshell packaging allows you to open the packaging to see the figure. 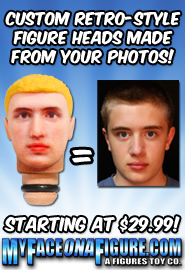 Each 12 inch figure comes with a mini concert t-shirt! 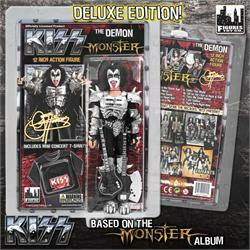 Deluxe special edition! 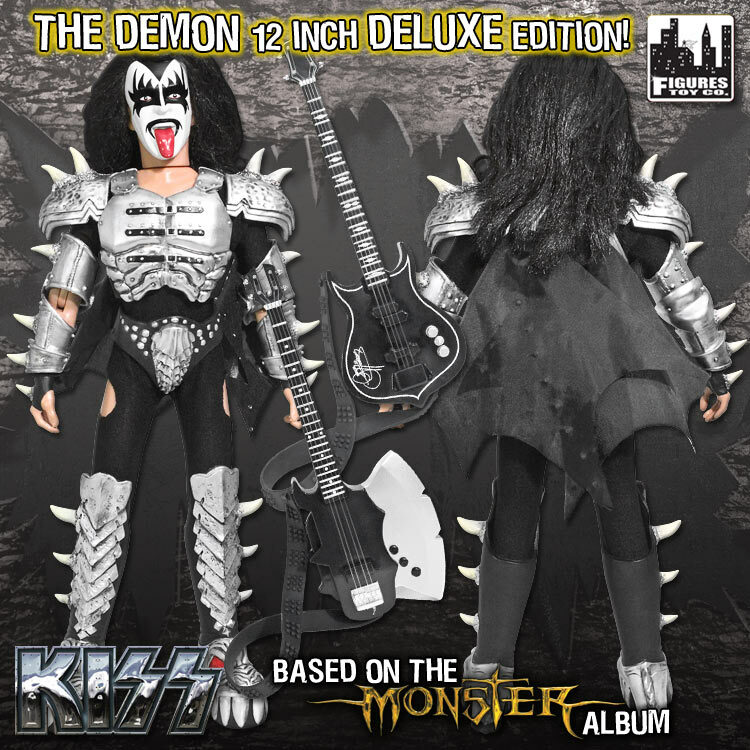 This version comes with "Punisher" and "Ax" bass guitar accessories! Punisher bass guitar includes a print of Gene Simmon's Autograph on it. Both bass guitars feature real strings and rubber strap!